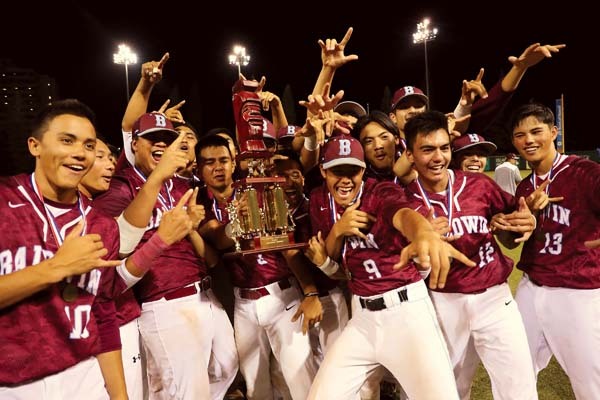 HONOLULU — This Baldwin High School baseball team must be recorded in the history books as one of the best the Maui Interscholastic League has ever seen. 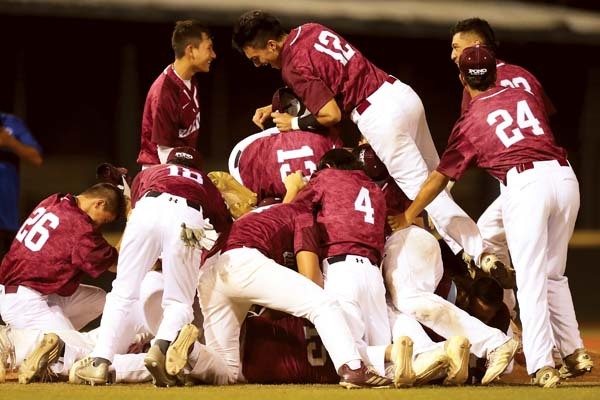 With seven starters who played major roles the last time they won the state championship two years ago, the Bears blasted Waiakea 14-4 in five innings for the sixth state title in school history on Friday night at Les Murakami Stadium. 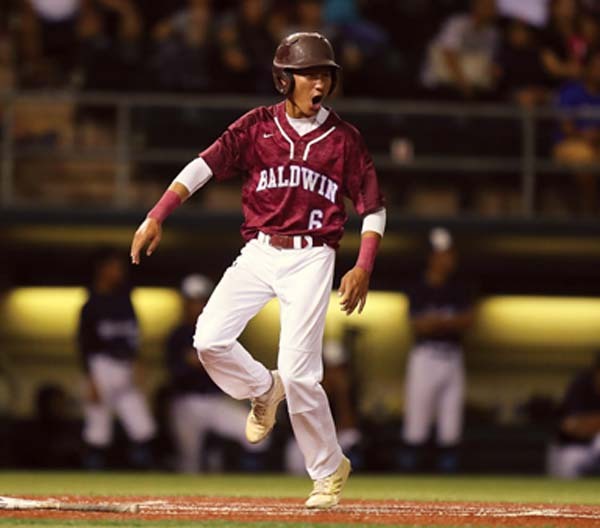 Baldwin stomped on the third-seeded, previously unbeaten Big Island champions with a seven-run top of the fifth, on RBI singles by Chayce Akaka and Bubba Varner wrapped around two-run singles by Haku Dudoit and Nainoa Keahi. Hoopii-Tuionetoa added a sacrifice fly for the final run. Roy Meinen got the win on the mound with relief help from Akaka in the fifth inning. The Bears finish with a 22-3-1 overall record — after mashing the MIL by a run count of 105-11 in 14 games, they ran through the state tournament in a few different ways. 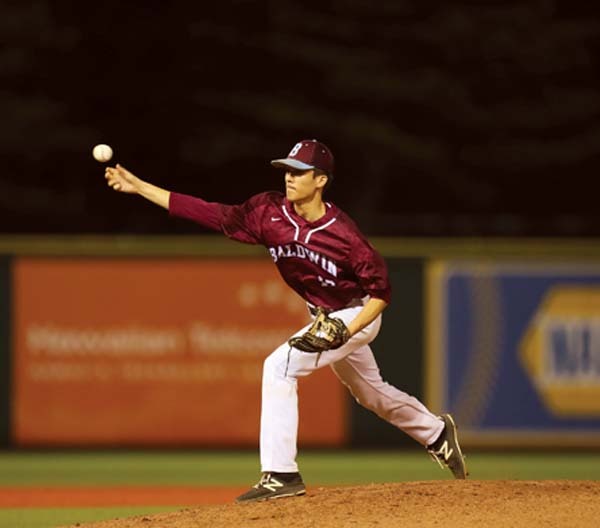 The win, which gives the MIL three state titles in a row following Maui High’s win in 2017, perhaps will cement a finish in the USA Today Super 25 — Baldwin was ranked there for the eighth week in a row on Wednesday, checking in at No. 24. The Bears jumped on top of Punahou 6-0 in the quarterfinals before holding on for an 8-7 victory. 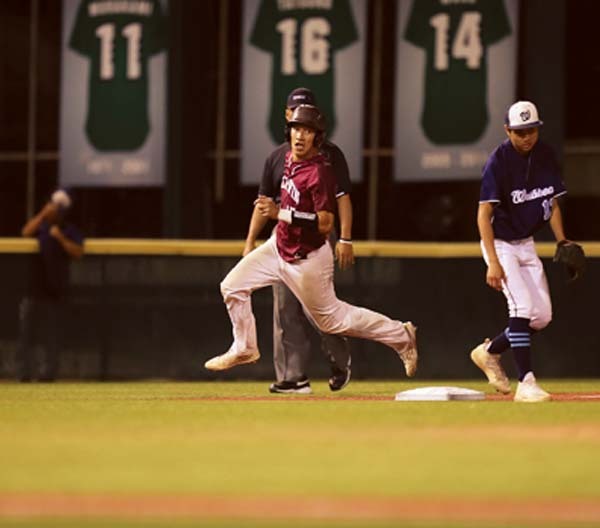 In the semifinals, they pulled away from Iolani 9-4 as seniors Hoopii-Tuionetoa and Keahi each went 4-for-4 and combined to knock in seven. In the final, they loaded the bases with no outs and failed to score down two runs in the second, then they scored their first four runs in the third without a hit in five tries with runners in scoring position, only to watch the Warriors climb within a run in the bottom of the frame. In a three-run top of the fourth, they took advantage of two walks, an RBI single by Cade Kalehuawehe, a sacrifice fly by Keahi and an RBI single by Varner to push the lead to 7-3. The Warriors jumped on top in the bottom of the first inning. Casey Yamauchi led off with a nubber to third base that he beat out for an infield hit and he scored when Baldwin catcher Kalehuawehe threw wide of first base on a sacrifice bunt by Trayden Tamiya. Tamiya advanced all the way to third base on the throwing error and David Nakamura drew a walk. Tamiya scored on a single to left by Kalai Rosario. The Bears loaded the bases with no outs in the top of the second, but Bobby Drayer bounced back to pitcher Reese Mondina, who threw home for the force out and Drayer was called out for runners interference when the throw to first hit him in the back. Jacob Chong struck out to end the threat. The Bears turned the tables to take a 4-2 lead in the top of the third inning. Akaka walked and then scored when Dudoit laid down a bunt that he beat out for a hit, but the throw from third baseman Stone Miyao sailed past first base, allowing Akaka to scamper home. After Kalehuawehe grounded out to shortstop and Keahi grounded out to third, Dudoit scored on an error by shortstop Tamiya on a hot shot by Varner. Haole followed with a single. Two more runs scored on a throwing error by Tamiya off a grounder to deep short by Hoopii-Tuionetoa. The Bears were officially 0-for-5 with runners in scoring position in the inning and still scored four runs. 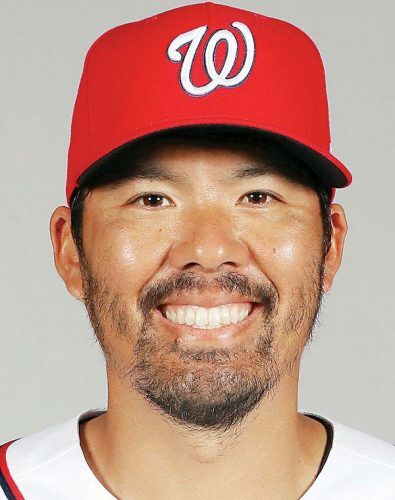 The Warriors closed within a run when Miyao smoked a doubled to the right-center-field wall with two outs, but Akaka ended the inning with a nifty bare-handed grab of a spinning one-hopper at third base to throw out Jacob Igawa. This is the sixth state title for the Bears to go along with crowns in 1959, 1960, 1984, 1995 and 2016, and was a rematch of 2012 game won by Waiakea 5-2. Roy Meinen, Chayce Akaka (5) and Cade Kalehuawehe; Reese Mondina, Ty Honda (3), Rysen Ross (4), Cody Min (5), Devin Mikel (5) and Jacob Igawa. W–Meinen. L–Honda. 2B–Waiakea: Stone Miyao. 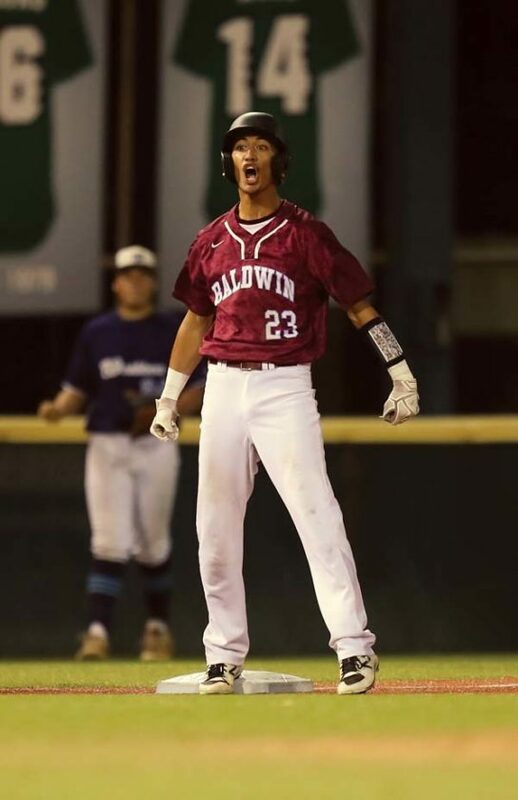 Leading hitters–Baldwin: Haku Dudoit 2-3, 3 runs, 3 RBIs; Bubba Varner 2-3, run, 3 RBIs. Waiakea: Casey Yamauchi 2-3, run; Kalai Rosario 2-3, 2 RBIs.